There will be a few others as well but these units have their own unique colors and banner as well. 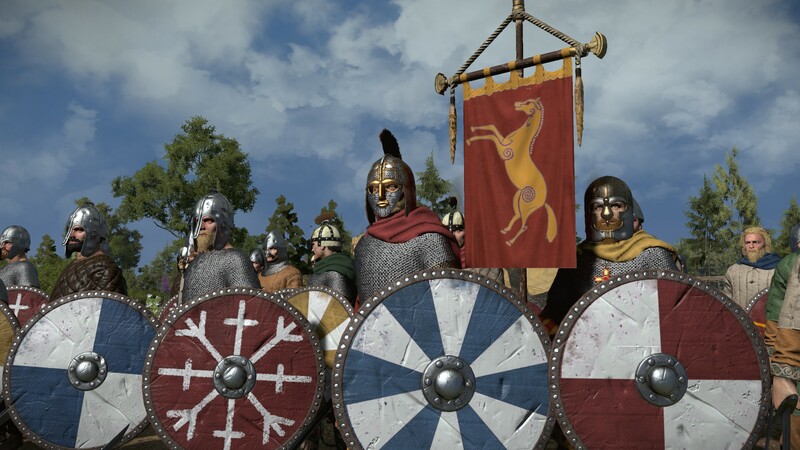 Just wanted to say, IIRC pre-release when people were asking CA why Gallowglass were in game when they weren't mentioned until the 12th century, their answer was basically that they just used Gallowglass as a name to represent Norse Mercenaries fighting for the Irish. So while the name isn't right I'd say the idea from the base game is fine and it makes sense to give some Norse merc unit to the Irish faction. I'm not sure. The hiring of galloglasses was a reaction of the Irish elites to the threat posed by the English formations of knights and archers used as a tool to colonize Ireland in 12c. I'm not sure there's a similar reaction in 9-10c. 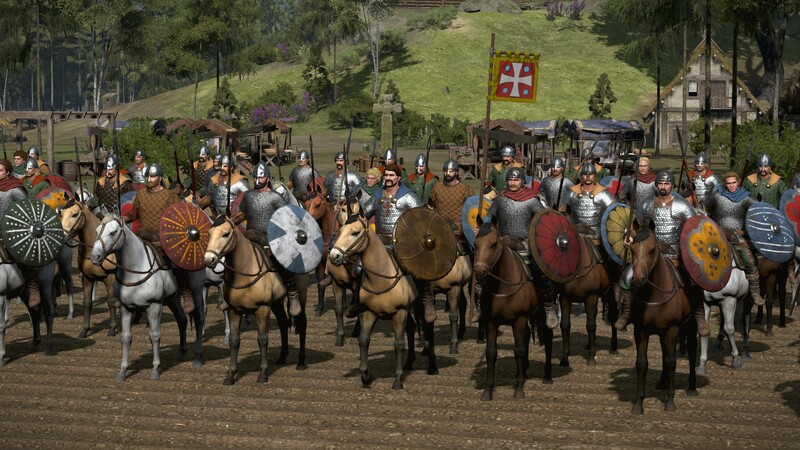 Recruitment of merc was also not so easy, it'd be rather through an alliance with a group of Norse invaders - to it's rather a matter of politics in the ToB. Long away from playing and modding TW games, i just stumbled about a ToB YT-review by Gamestar, and as expected from early pre-release ToB watches, it just confirms my fears. And well, a pity ofc, the scenario around Alfred the Great is one of my absolute favourites, as usually, CA wasn't able to make a proper depiction of according history. Anyways, i asked myself if there was a realism mod in the works ... et voila, found yours. Have read through the entire thread here. Keep up the good work, guys! I'm also waiting patiently. I bought the game but will only start playing after this mod releases. Last time I played a TW game unmodded was ... MTW? And that perhaps because I was new to the franchise. Here is a small preview of a couple mercenary units that can be recruited in Shieldwall. Very interesting concept, lookong realy forward to this. I am very happy that you have performance in mind, so that u dont add to much assets within one unit.